Continued Development = Happy Customers! Never a company that sits still, we continue to work hard to bring our customers the very latest drivers for the market-leading control platforms. We are, therefore, delighted to announce today the launch of our Creston Media Player driver and the launch of our Command Fusion driver. We are very proud to announce that the Lode Crestron Media Player object has passed our beta testing and is now available as a download from our website. Many thanks to those of you who took the time to test and comment on the pre-release of the driver and continue to feedback to us. We have had much demand for this driver and opted to develop our own solution in conjunction with Dubai-based Platinum Vision, one of the most professional integrators in the world. We are very proud of the outcome and are pleased to announce that we have now added Command Fusion to our collection of drivers for our range of Lode Audio Servers. Command fusion offers a very flexible, high performance and rich end user experience, without the need for processors within the control landscape. Crestron and AMX users – did you know that you can add Command Fusion interfaces to your existing projects? Contact us for more information. If you have a great idea, we will work with you to make it happen! 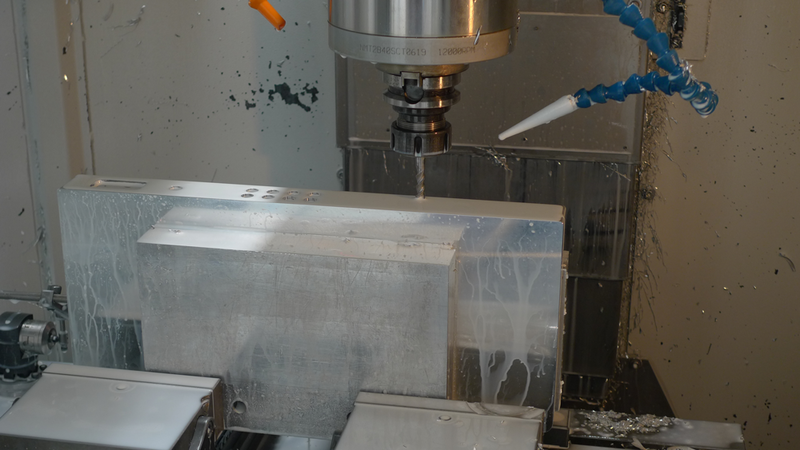 At Lode, we constantly explore ways to make our products more integrated with our customer’s systems. To this end, we actively look for ideas and compatibility solutions and like to actively work with our customers to ensure seamless integration. A good example of this collaboration was with the newly-launched Command Fusion driver. Having worked with us before on other projects, Dubai-based high-end install business Platinum Vision had given up on trying to integrate consumer-focused products into CI systems and wanted a dedicated audio solution. With Command Fusion being one of its control platforms of choice, Technical Director at Platinum Vision, Simon Dzeletovic, contacted us to see if it was possible. Working closely with the team at Platinum Vision to make sure we achieved a fully-fledged Command Fusion control suite, the Lode technical team created the required drivers in record time. “The new Command Fusion driver is testament to the capabilities and communication from both of our teams who worked together very well to provide the solutions that excel.”, added Simon. Command fusion offers a very flexible, high performance and rich end user experience without the need for processors within the control landscape. We are very proud of the outcome and delighted to add Command Fusion to our collection of drivers for our range of Lode Audio Servers. Andy Oattes, Head of Sales and Marketing here at Lode, added, “Platinum Vision is a world leading integration company with very demanding clients. Working closely with experienced installers to offer the high-levels of service, software development and, above all, performance helps keep us ahead of the competition, whilst providing our clients with high performance multi-room audio and intuitive, exciting and immersive control experience’. Do you have an installation that requires bespoke integration development? If yes, we would be very happy to hear from you and see how we can work together to give your customers the high-end experience they require. Contact us here and we would be delighted to chat through your requirements. http://www.lodeaudio.com/wp-content/uploads/2015/09/lode-logo-ps6.png 0 0 Lode Marketing http://www.lodeaudio.com/wp-content/uploads/2015/09/lode-logo-ps6.png Lode Marketing2017-03-09 10:43:422017-03-09 11:04:09Continued Development = Happy Customers! Phew – things are gearing up! We can’t believe its March already. Since the beginning of the year, we have been non-stop with new product and software development, whilst continuing to work with our international customers who are installing truly custom audio solutions. Whilst we have five minutes to breath, here is our latest newsletter with updates on what has been happening at Lode over the last couple of months. 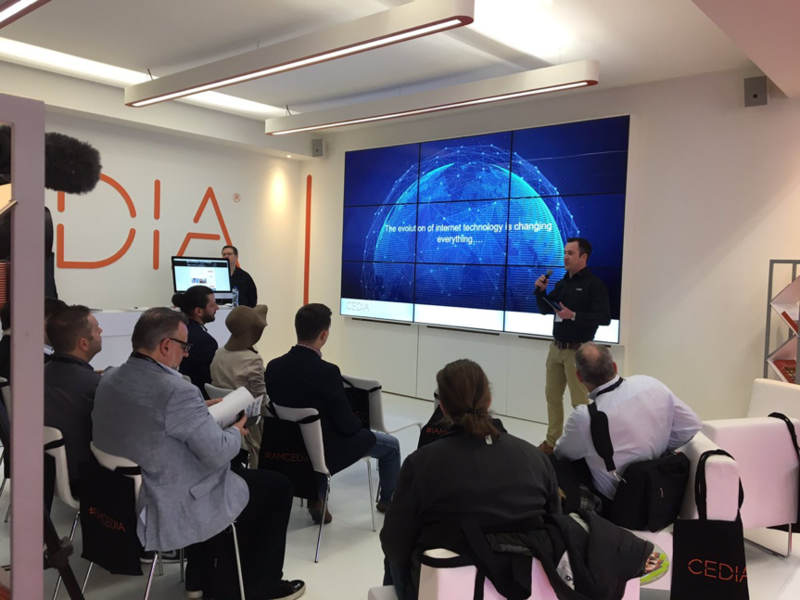 ISE 2017 was the biggest and busiest it has ever been and was the perfect opportunity for us to attend our first international show. Not only was our booth busy the entire duration of the show, the feedback from visitors was incredible. As well as previewing two new products, we also showcased the latest version of our firmware, which included full integrations of the market’s leading control platforms. Featuring a 50 Watt per channel Cass D amplifier, ISE saw the launch of the LA1A – our newly developed amplified zone player. Perfectly suited to those that want to have all of the convenience of our multiroom audio zone players with locally connected loudspeakers, the LA1A allows users to have real HiFi integrated into their control systems without the paraphernalia of a conventional audio system. Diminutive in size, the LA1A integrates perfectly on to the LodeNet infrastructure, offering the same zero latency HiFi performance matched with industry-leading control. The LA1A is a product much in demand and the response from show goers couldn’t have been more positive. 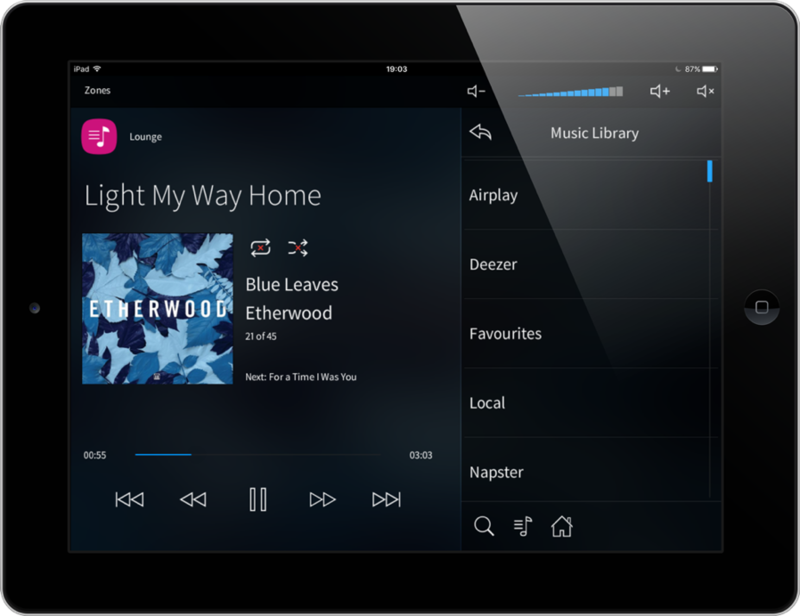 Adding to our already highly regarded music server range, ISE also saw the launch of the LA2 – our two-zone player. 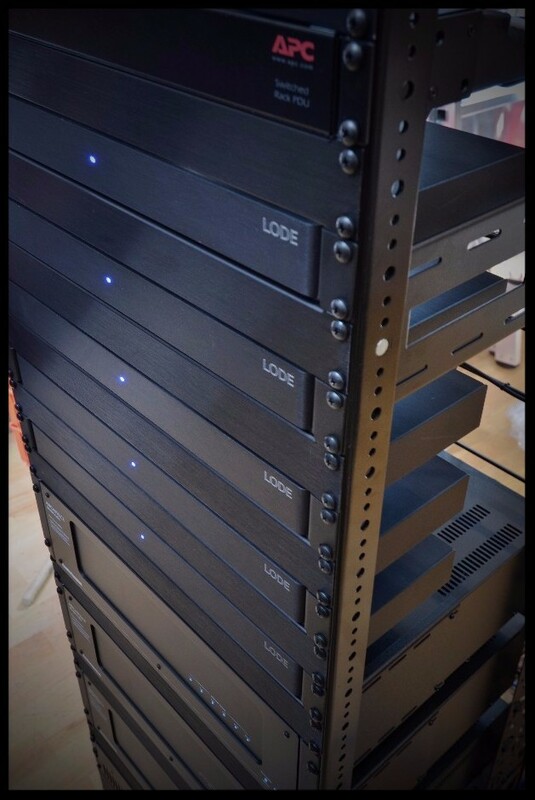 Developed due to demand from our existing customers, the LA2’s 1U form slots perfectly into a 19” rack and offers greater flexibility for system designers creating LodeNet multiroom systems. ISE visitors were also the first to experience a refresh of our control system drivers, with the latest Crestron Media Player driver, Control 4 driver update and Command Fusion driver fully integrated into LodeNet for the first time. And finally, we also previewed our soon to launch market leading music services. Even more regions now Loded up. 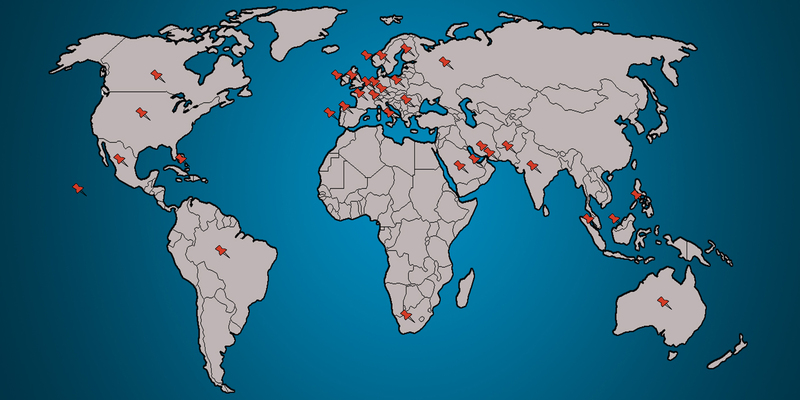 We are delighted to announce that our message is reaching an ever-expanding range of territories. With immediate effect, Hometronix (Nigeria), Advanced Territory Management (Canada) and Alfocus (Singapore & Indonesia) have joined the Lode family, all recognising our ability to deliver real HiFi performance to the CI market combined with class-leading control. With things moving so quickly at Lode, we endeavour to keep you updated on developments. Keep an eye on our newsletters for further product and firmware updates. 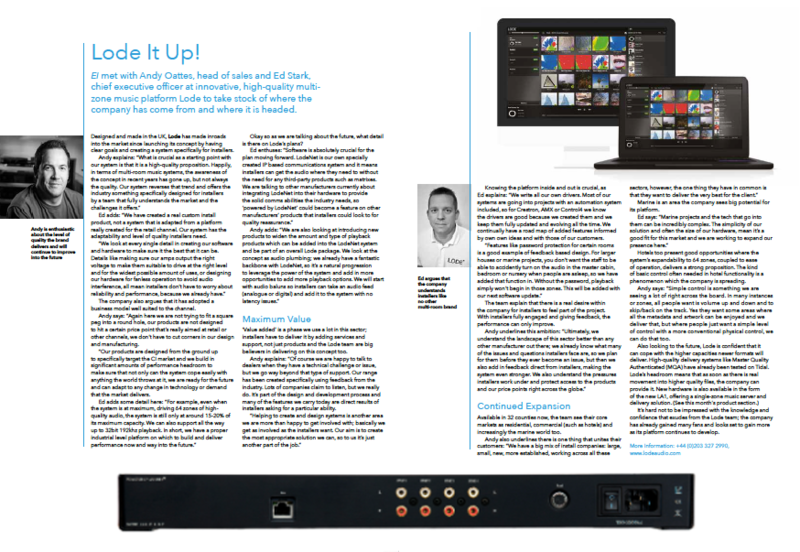 With our recent announcement regarding the LA1 single-zone music server proving to be a hot topic, we were delighted to have an interview with our very own Ed Stark and Andy Oattes published in the latest edition of the UK’s Essential Install Magazine. In a very frank interview, both Ed and Andy outline our vision for multi-room audio, the background to our LodeNet infrastructure and vision for the future. Read it for yourself by clicking the article below and we would be very happy to hear what you think and any comments you have. To contact the Lode Audio team, fill in the form here. Right from the outset and based on real-world experience, our vision for Lode Audio was to create products for the Custom Installation market that not only performed to spec but also had the reliability that the market required. After all, the last thing any CI integrator wants is to have to keep re-visiting a site to replace or repair faulty electronics. Therefore, all of our designs had to be able to conform to our very high standards, which meant working directly with manufactures who are specialists within their respective fields. Due to the country’s legendary engineering heritage, we located the right partners right here in the UK, enabling us to not only react quickly to design tweaks but also link up certain processes for a smoother development program. Ultimately, we are also able to say that every Lode product is Made in Britain, which is a statement we are very proud of. A crucial area of the design was to deal with the scourge of all CI products housed within equipment racks – heat dissipation. The usual way to deal with heat is to employ internal fans, which keep a constant air flow over the delicate electrical components to maintain a nominal temperature. However, our belief is that any moving part reduces reliability and increases noise, both physically and electrically, so we wanted to eradicate fans and create products that not only employed a low-heat design, but that also dealt with heat dissipation in a more reliable way. 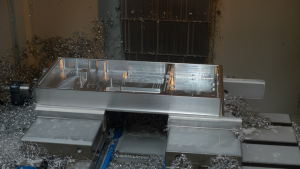 The most efficient way to do this is to make the whole chassis of our products act as a heat sink, therefore distributing any heat across the whole product. 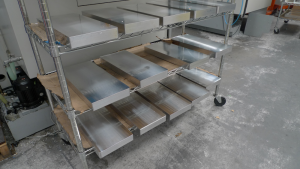 To do this, we embarked on a wide series of tests to ensure that not only would this concept work in the real world but also that we could find the correct supplier who was able to provide the exacting specifications required for the job. Through research, we started working with a manufacture of ‘fan-less’ computer systems built to medical equipment specifications. 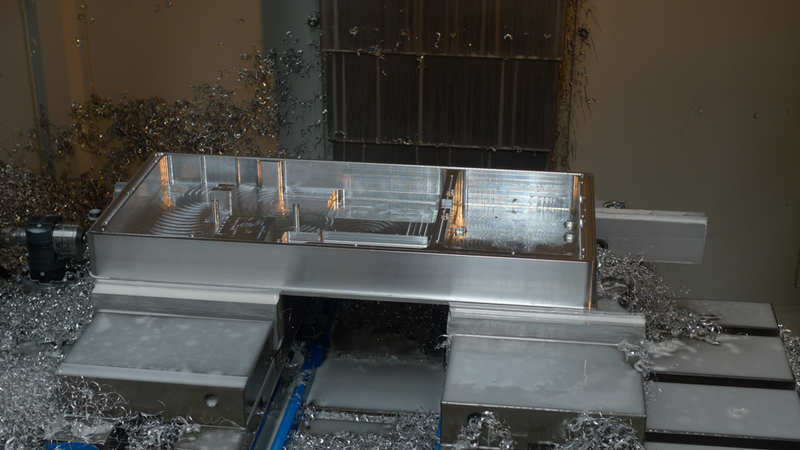 An international leader in its field, this expert manufacture mills all product chassis’ entirely within its own factory in Manchester, from raw aluminium billets to precisely manufactured, hand finished and anodised products. After the initial consultation period, we worked closely to develop our own bespoke chassis for the LA4, using CAD/CAM software to not only design the chassis but to also carry out flow simulations systems, which accurately forecast the cooling characteristics of the design. 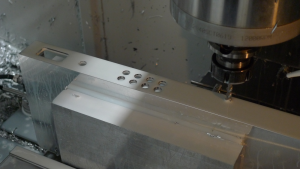 Once the design is signed off, each chassis is milled from a single billet of aluminium on the in-house, high speed CNC milling machines, before being hand-finished and then anodised with the deep black brushed finish our products are known for. The whole process is time consuming and expensive for a product that would normally reside out of sight and in a plant room. 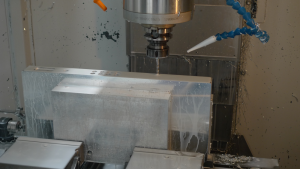 However, we feel it is an essential ingredient to the success of our products, as it not only guarantees the perfect finish we require but also provides the ideal housing for our electronics that enables us to successfully achieve our goal – to create great performing products with the reliability essential for the custom installation market. In our last newsletter, we announced that we were soon to be launching our latest iOS app update. We are delighted to say that it is now live and that since its launch at the beginning of August, it has already proven to be a huge success, with the performance exceeding our customers’ expectations. 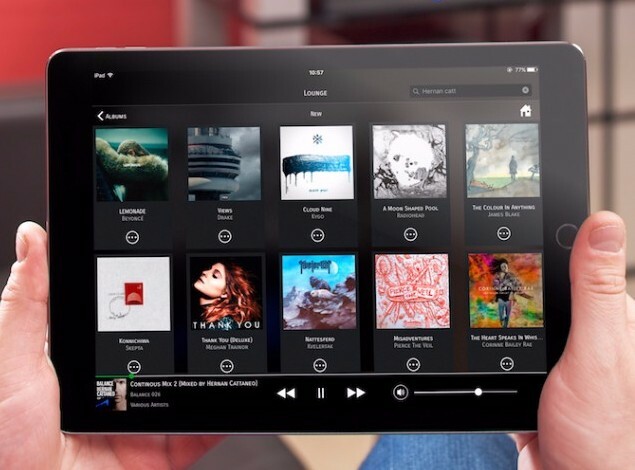 Featuring industry-leading browse functionality with zero-latency performance, our dedicated iOS app suite offers extremely quick cover-art population, gesture swipe (inc. swipe back to seamlessly knit together music browsing) and single or grouped room control. Available now, if you haven’t already tried it, we urge you to visit the app store and download this crucial update. Not only will it mean perfectly-stable control of your Lode LA4 Music Server, it will also significantly increase the customer experience. Seriously, what is not to like about that! Although our products have integrated with Crestron for many years, we have been working exceptionally hard to add the latest functionality that our customers have been requesting. The new release of our Crestron driver will bring it a lot closer to our own iOS app, which is already being used extensively. 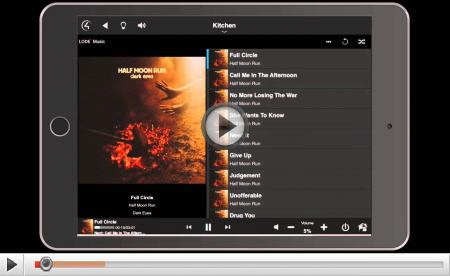 Crestron users will be able to enjoy the dynamic browse and queue functions as well as experience improved cover-art integration with a faster response time to background image change when tracks are skipped. Although not quite as fast as our native iOS apps, this refresh will provide a much enhanced user experience. If using Lode products within Crestron systems, this update will change your customers experience of media browsing with Crestron. We’ll keep you posted on the availability of this update. We recently had a prestigious project in Regent’s Park. We decided to use Lode as our music system as we had heard great things about it and the system did not disappoint. We installed four LA4’s in our main headend rack, giving 16 zones of 32-bit audio. Physical installation of the units was simple and the programming very intuitive and very fast – update the system, name your zones and add your services. Once installed and programmed, we were blown away with what we heard. We used Audio Control amplifiers and B&W speakers everywhere – a mixture of in-ceiling and bookshelf. Admittedly there was a fuller response from the bookshelf speakers but I’ve never heard ceiling speakers give so much. Our control system here is Control4. Integration into Control4 was seamless. Add the drivers from the Control4 database, say which room is which and we were done. We have nice control from the control4 handheld remotes but it’s really on the (Lode) app where you get the best experience. Easy to use and responsive despite not being able to edit the Control4 environment. 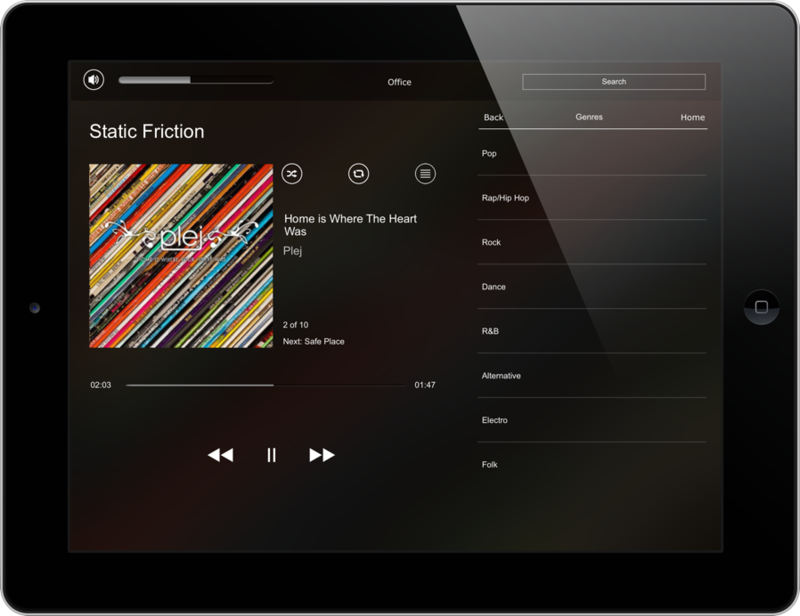 Also, when browsing our music on the iPads, all Lode zones appear as an Airplay option. So if we just want music, we don’t have to touch Control4 – too easy! Judging by client feedback and ease of install, I can’t wait for the next one! This latest update is about to be launched, so look out for it in the App Store updates. Once installed, we are sure you will agree that these added features continue to enhance the already excellent Lode user experience. A very successful Essential Install show! Fresh off the back of our first tradeshow, we are delighted to say the experience exceeded our expectations! Having the chance to showcase our products to many of the UK’s leading installers/integrators and receive their extremely positive feedback was amazing, and we thank all of you that came to see us. We were really proud of our first-ever stand build and the system was brilliantly received. To make the most of our 32bit, high performance LA4 Audio Server, we partnered with our friends at Kef Audio, who provided us with a stunning pair of white R500 floor standing speakers and the small but mighty What Hi-Fi? award winning KEF EGG system. The partnership really shows off what both British companies do well – quality engineering and Audio excellence! As well as demonstrating our LA4 Audio Server, we also took the opportunity to put our brand new iOS apps (see above) in the hands of installers for the first time, with the reaction even better than we had hoped. Particular feedback included just how quick it is at accessing content and starting playback, even with streaming services. To celebrate our inaugural trade show, we took the opportunity to run a prize draw. We are delighted to announce the winner as Russell Bryce from Prestige Audio, the London-based long standing and highly respected Home Cinema and custom installer, founded in 1984. Russell and the team will shortly be receiving an LA4 totally free-of-charge and we look forward to getting their feedback on our world-class LodeNet platform. 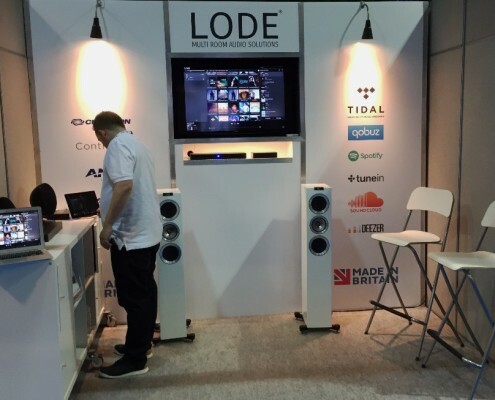 Designed and manufactured in Britain, Lode Audio brings superior streaming to residential, hospitality, commercial and marine custom-install projects in 32 countries (and counting). Backed by outstanding partner support, Lode Audio is innovative, unobtrusive, robust and intuitive, seamlessly integrating with today’s leading control platforms. 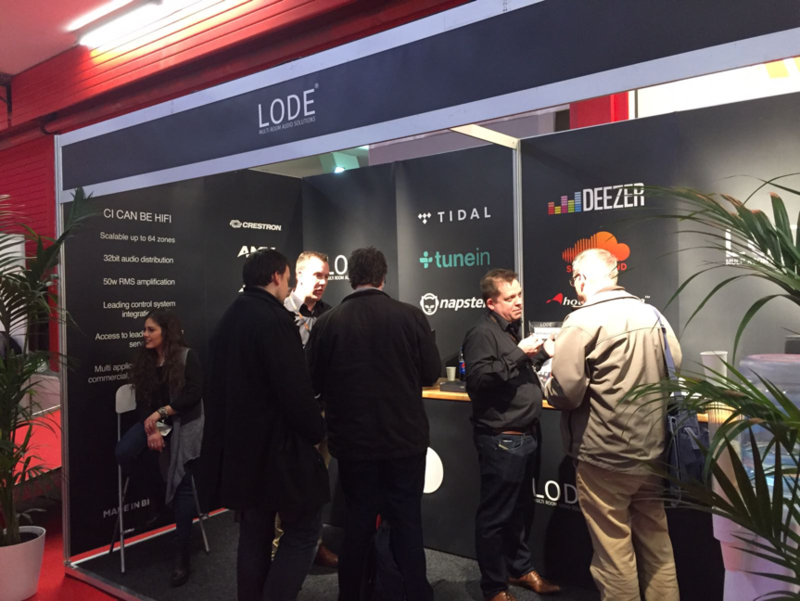 Where could Lode Audio take your business? We would like to thank all of you that took the time out of your busy schedules to complete our online questionnaire in April. As you can imagine, there were some really interesting points which have helped to firm-up our ideas on how you would use our planned hardware together with some specific use-cases for line-inputs and outputs. One statistic that we uncovered was that 92% of you install audio to only be played via in-ceiling speakers! This level of feedback is vitally important to help us design the right product for you, so thanks again for your efforts. And so, we are absolutely delighted to announce that the winner of the random prize draw selection is Dubois Control NV, an excellent Commercial and Residential integrator based in Lauwe, Belgium. Congratulations from all of us at Lode! 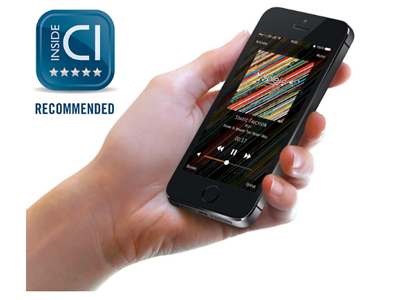 We are delighted to announce that the wonderful team at Inside CI have seen fit to award our LA4 4 room audio server and LodeNet a 5-star recommended award! It’s always a great feeling when others recognise our hard work. Watch this space folks, we have a lot more development underway… Things are just starting to get exciting! Lode Audio believe in the power of listening to our customers, yes, we actually do! And so in-line with recent feedback, we have evolved the metalwork of the LA4 to provide more clearance for RCA plugs and LAN cables, ensuring our installers can use the cabling of their choice, without issue. Additionally, you may notice the very cool MADE IN BRITAIN logo. We are absolutely delighted to be a part of this campaign and immensely proud of British manufacturing. This logo will be included on all of our products moving forward. Come visit us at stand 121 at Essential Install South over the 6th to 7th July to meet the team from Lode who will be on-hand to take any questions and provide demonstrations. We plan to make announcements on our some of our newest developments, so make sure you come along for some really exciting news! Win a free Lode LA4 Music Server! Here at Lode we value your feedback on the direction we should take our products from both a hardware and software perspective. To enter into a prize draw for a chance to win a free Lode LA4 server, please take a couple of minutes to answer a quick online questionnaire. The prize draw will be picked the second week of June 2016. We’d like to thank everyone in advance for their feedback and hope you’re the lucky winner. Click here to enter the draw. What’s in our latest 1.5.18 firmware? We launched our latest 1.5.18 firmware in March 2016, whats new? Airplay interrupt – You can now Airplay to any zone of Lode on the network without having to select Airplay as the source. This feature can be enabled through the Advanced Settings of the admin interface. Airplay hardware volume control – You asked for it, so we added it. Now when Airplaying to any zone of Lode the volume can be controlled driectly for the IOS device without the need to use the Lode App. Volume trim – Many of you have asked us for the functionality to limit the volume on a zone by zone basis to help protect speakers and amplifiers from poor usage. This has been added and can be configured via the Player Settings to limit the volume to a given percentage. Twonky support – You can now enable Twonky support via the Media Services section of the admin interface. Many other performance enhancements, tweaks and fixes have been added. Want to get the most out of your Lode platform and control system integration. Lode is now offering one on one control system induction courses to help teach your programmers useful tips and tricks for creating truly custom audio solutions. Create a point of difference by designing and delivering audio control solutions customised to your customer’s usage. 1 button radio or playlist launches or automation of room grouping as examples. Reduce programming time by bootstrapping your programmers with in depth module knowledge. No need to attend any classroom, all training is provided via remote sessions. Induction courses are available for £150 a session. Click here to contact us for more details. http://www.lodeaudio.com/wp-content/uploads/2015/09/lode-logo-ps6.png 0 0 Lode Marketing http://www.lodeaudio.com/wp-content/uploads/2015/09/lode-logo-ps6.png Lode Marketing2016-04-19 15:36:312016-08-18 13:11:34Win a free Lode LA4 Music Server! The Lode LA4 is a revolutionary multi-room audio system enabling playback of high quality audio to any room in a property, all controlled from your mobile device or home automation control system. Built on Lode’s Lodenet™ technology, audio can be played synchronously throughout the property without the issues of interference, delays and outages experiences by many wireless based audio systems. The Lode LA4 is able to deliver audio streams from your iTunes library, internet radio and streaming services all at the touch of a button. Click here for more information on the LA4. Lodenet™ is Lode’s own audio over ethernet protocol. With Lodenet™ you can stack up to 64 zones of audio on a network with full synchonised playback of music on any number of zones without the need for an audio matrix. Lodenet™ is by default a unicast protocol that can be used on any networking equipment without the need for custom hardware that many high performance audio over ethernet protocols require. Lodenet™ can support up to 32bit high definition content distribution and playback. Lodenet™ can scale up to 256 zones of audio when configured in multicast mode. With our friends at Janus Technologies, we have developed a stunning Control4 driver that rivals all others media platforms in it’s performance with Control4. The driver takes advantage of all the latest media proxy objects from Control4 and also integrates seamlessly with the Control4 audio matrix should you have other input sources to consider. The combination of Lode and Control4 provides a simple integration with awesome high definition audio playback. Not only is this a perfect unity of two great platforms, but unlike other more retail product integrations with Control4 where there is no margin, with Lode you can start earning profit from an audio solution at a price point that still works for all parties. We are constantly working away in the background on new music service integrations. Coming in early 2016, we will be launching our Rhapsody Napster integration as well as the much requested integration with Twonky Media server. Due to demand , and a little festive spirit, we have decided to extend the demo offer for the LA4 until end of January 2016. Don’t miss out on an opportunity to bag 4 zones of awesome audio distribution for your showroom or offices for just £950. We hope to reach out to as many of you as possible to organise demos of our current and new products so why not get in touch with our new Head of Sales, Andy Oattes, who will book some time to take you through who we are and what we do…You won’t be disappointed! Lode would like to introduce Andy Oattes as our new Head of Sales. 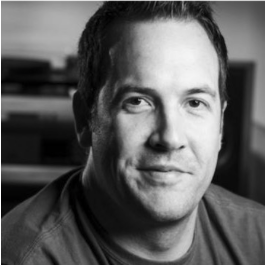 Many of you may know Andy from his years at Sonos, Linn and Libratone. Andy has a wealth of industry knowledge and expertise and we are simply proud to have him on board. Andy will be in touch with all of our customers over the coming months. If you want to discuss anything with Andy in the meantime, why not drop him an email on andy@lodeaudio.com or by phone on +44 7917 714133. The Lode team will continue to expand through 2016 to help maintain our reputation as having world class service! We are busying away here at Lode building you some beautiful new iOS apps which will be launch early 2016. New look, new features, all driven by your feedback.